A batting cage allows someone to practice baseball swings without the hassle of retrieving strikes. Instead of sailing past the person up to bat, the ball will smack into the net, making it easy to retrieve. Pre-built batting cages can be costly. With some basic knowledge and determination, you can build your own batting cage and cut the cost. Building a batting cage is a big undertaking, though, so don’t be afraid to ask friends or family for assistance. Purchase two buckets that are 2 feet deep and at least 8 inches wide. Dig two holes (10 1/2 feet apart from each other) large enough to fit these buckets in place. Dig these in solid earth that does not shift or become excessively muddy when rain falls. Fill the buckets 4 inches from the top with wet cement. Erect one 11-foot-tall PVC pole in each bucket (use PVC pipes at least 6 inches wide). Center the poles in the center of the buckets and hold them there until the cement dries. Attach a PCV elbow that bends at a 90-degree angle on top of the two vertical poles. 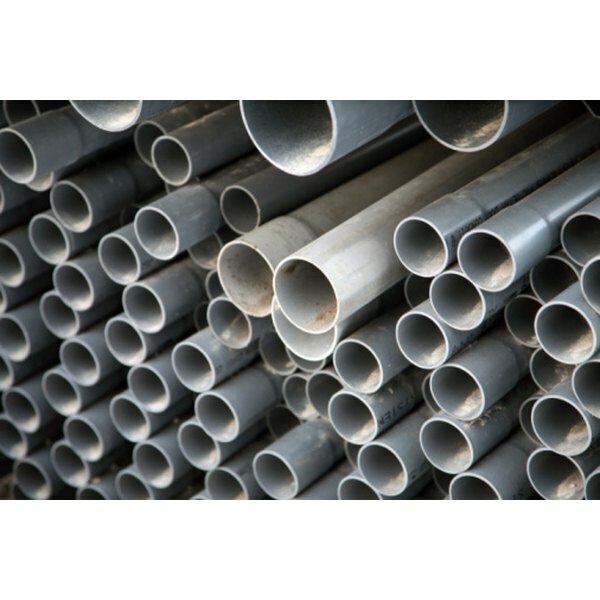 Secure them in place with PVC pipe cement. The elbows should face toward the opposing pipe. Ask an assistant to help you lift a PVC pipe that stretches from one elbow to the other. Shove the ends of the PVC pipe into the elbows and secure it into place with PVC cement. Drill three holes into each of the vertical PVC poles at 3-foot intervals (starting from the bottom of the poles) and thread screw hooks into each hole. The hooks should face toward the opposing pole. Drill a hole into the bottom of the vertical pole at the very center. Place an additional hole to the right and the left of the first one, spaced 3 feet away from the original hole. Thread hooks into each of the holes. Dig a shallow 5-foot-long, 3-inch-wide trench 3 feet behind the batting cage. Center it between the horizontal poles. Place a heavy 5-foot-long, 3-inch-wide wooden beam into this trench (PVC is too light to take the place of wood here). Dig two more trenches reaching from the ends of the 5-foot beam to the buckets holding the vertical wooden poles. Make the trenches 3-inches and place a wooden beam into each trench. Screw two hooks into each wooden beam. Put one on either side of the beam, 2-inches away from the edges. Hang a thick net from the hooks atop the batting cage. Hook the sides of the net onto the vertical poles and the hooks on the ground beams. Thread a 5-foot-long PVC pipe through the threads of the net. Place the PVC pipe 6-feet up on the net between the two vertical poles. Tie the ends of the PVC pipe to the top pipe using rope.